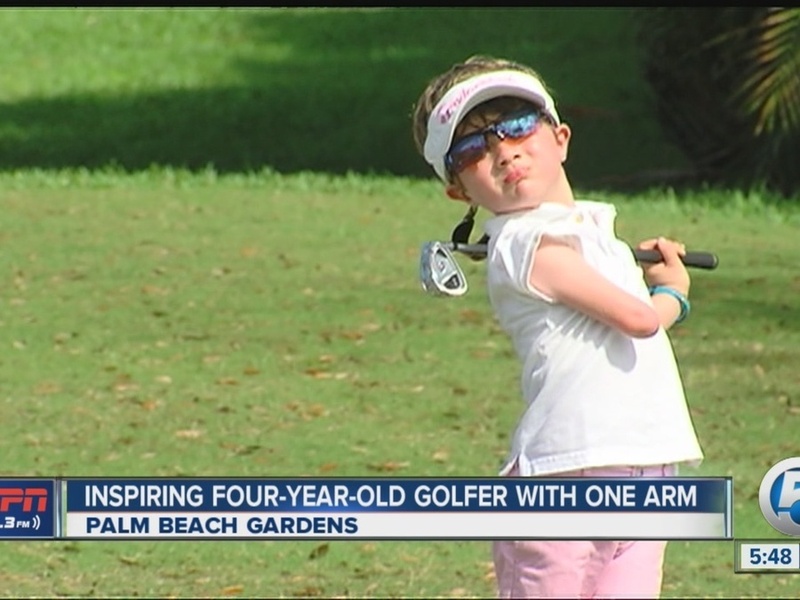 Tommy Morrissey is a 5-year-old golfing prodigy – and he swings his club with only one arm. Despite being born without a portion of his right arm below the elbow, Morrissey can beautifully drive the ball nearly 100 yards. "It's both a gift and a challenge. And he doesn't know he has either one," Joe Morrissey, Tommy's father, told the Press of Atlantic City when they first realized his talent. Check out Tommy's talent on his Instagram and Twitter pages.